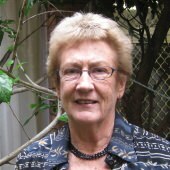 Ann Symonds lives in The Astor in Macquarie St. The Astor is a high status heritage listed block of residential apartments in Sydney’s Macquarie St. A former member of the NSW Parliament’s Upper House, Ann talks in her interview about places she has lived, her work in government and retirement, and the special issues and restrictions encountered when living in a historic building. In the excerpt below she discusses the benefits of medium-rise living in the CBD. I remember when I first came to Sydney [in 1960], walking around here and I walked past this building and thought “Oh, wouldn’t it be wonderful to live in a place like that”. This is where everything that I’m interested in is, very close by. The Opera House for music and theatre, a walk over to the Art Gallery [of NSW], walk in the [Royal Botanic] Gardens, walk up to the back door at Parliament House and go into the library up there. It’s just ideal for me and apart from that I’m a person who, I really need to feel secure where I live, and I love the fact that I’m on the eighth floor. 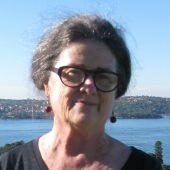 The history of the building is very important to me as well because of the fact that people wanted to build a community – first [residential] cooperative in Sydney. We want to actually put the plaque on the front of the building which they originally wanted to put when they built it. We had discussions about this at the board because it [the plaque] said “The Astor Flats Cooperative, di, di, di, di, di, and one of the fellows on the board said “I don’t like the word ‘flats’” and I said “Oh, it’s too working class for you, is it?” He said “I think we should have ‘apartments’” and I said “Well, that’s too American for me”. So what we’ve decided is, we just have ‘The Astor’. I’m comfortable being here, I’m comfortable in my own space, and I’m comfortable being in this building, being part of the community of the building.